I am linking up with some amazing friends to bring you another month of fun ideas, freebies and giveaways! It is fall time and I absolutely love everything about the fall, cool weather, hoodies, and all of the fall seasons. However, it's not feeling much like fall here in the Midwest. We are still in the 70s almost everyday. But I will take the warm weather over the snow and ice so let it last as long as it can! 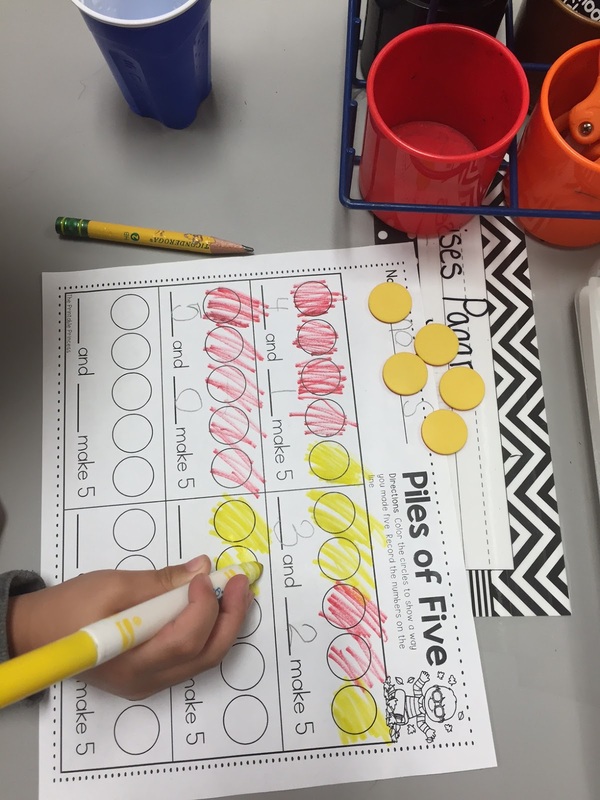 By this time of the school year, the kids are getting a good understand of numbers and counting. Now is the time that we go more in depth with teaching numbers and what each number truly means. 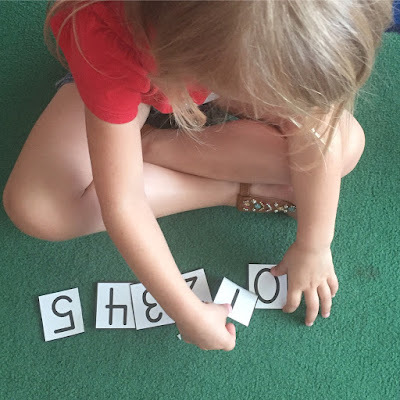 We have practiced counting many different ways and I am so proud of how quick they are catching on and how quick they are learning to count and their numbers! 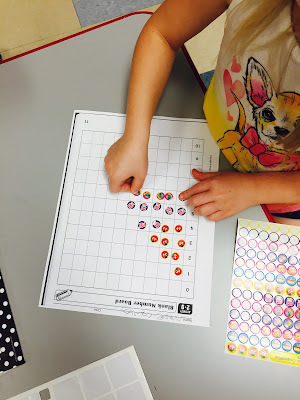 We practiced representing each number using stickers to count. 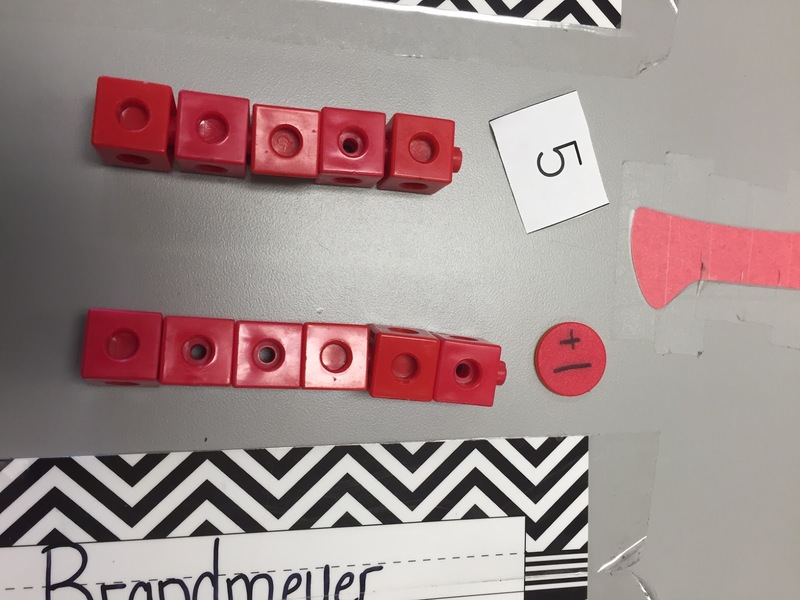 This is a great way to begin teaching that each number in sequence is one more than the previous number. And the kids love adding stickers to their number board! 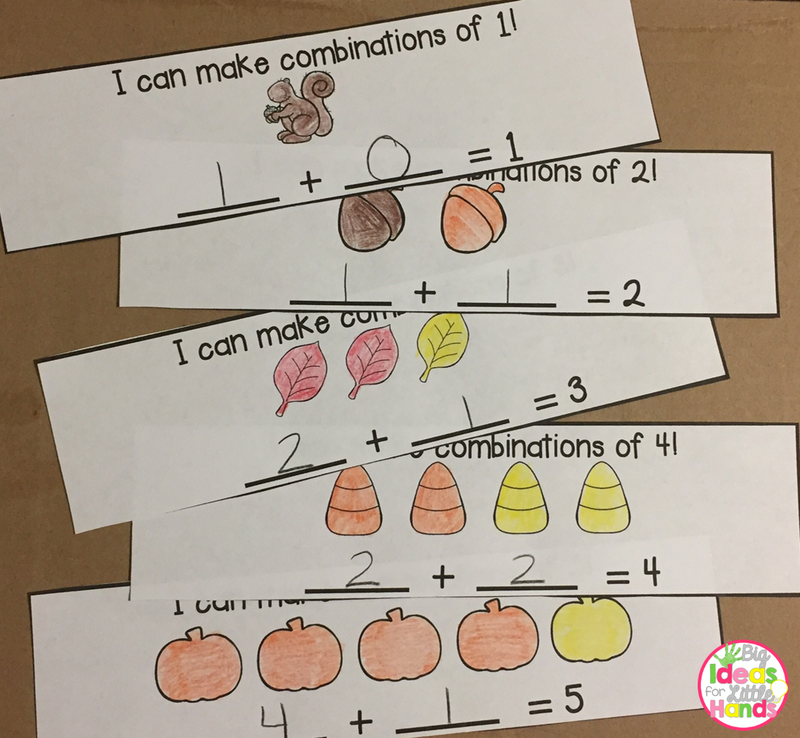 We also love these counting puzzles from From the Pond. 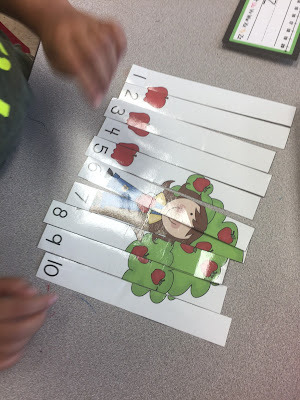 The kids count out the strips then have to glue them in the correct number order to make a picture. Our number strip puzzles from Christina Mauro are very similar where the kids put the strips in the correct number order. They love doing these when they finish their work early! Julie Lee also has this amazing counting activity. The kids read the number then count out the correct number of apples to glue to their tree. 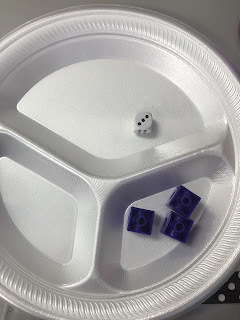 I think this was my kids absolute favorite counting activity from The Printable Princess. 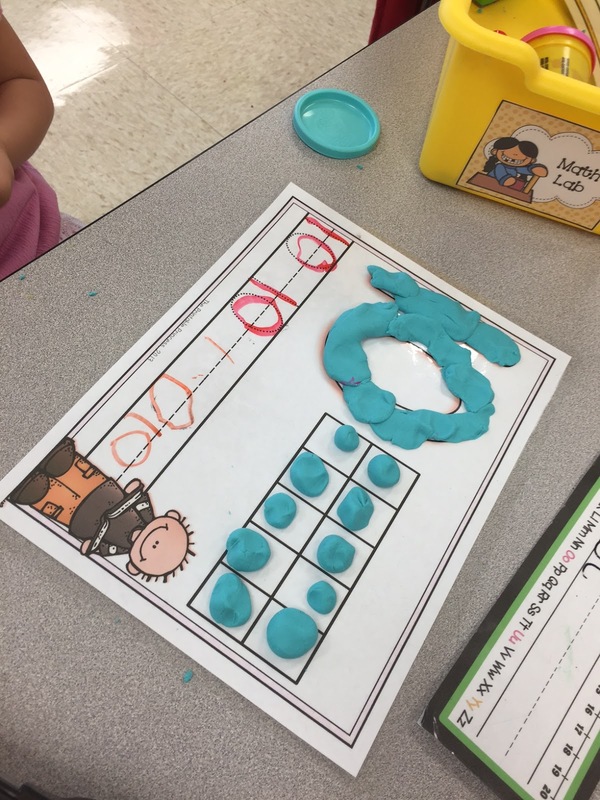 They made the number out of play dough then had to show the number on the ten frame. 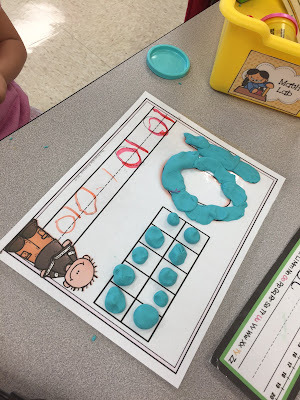 Once they finished the play dough numbers, they had to practice writing the number also. 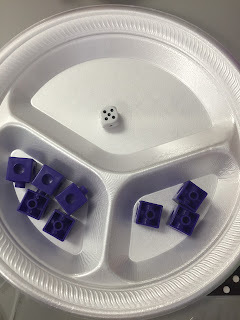 One of our favorite games was this supper simple game called Mix and Fix. 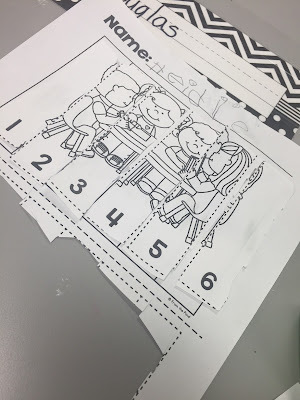 We started out with number cards 0-5. The kids had to put the number cards in order. Then I would call "Mix" and the students mixed them back up. When I called "Fix," the students had to put them back in the correct order as quick as they could. Such a fun way to teach number order. Anything with food is always a hit. 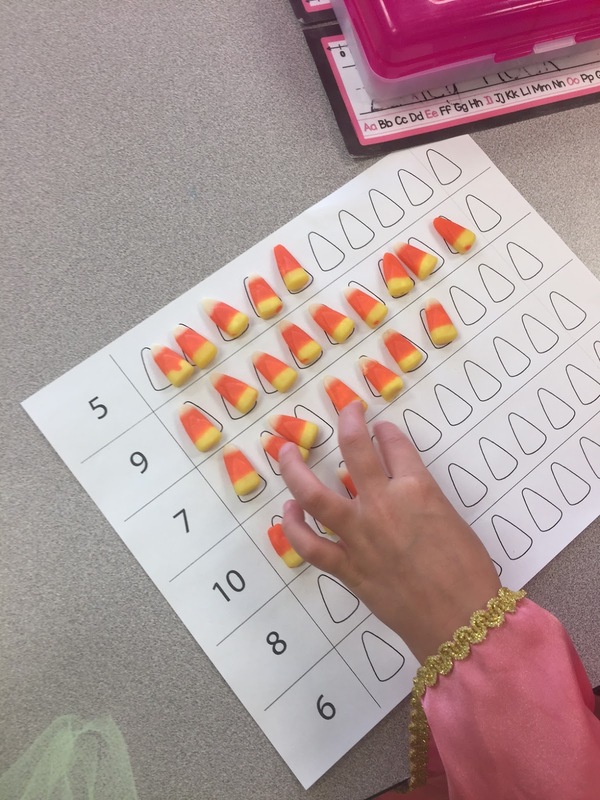 We used candy corn to practice counting and representing different numbers. Now that we have a good foundation of counting. We are moving on to breaking numbers apart and putting numbers together. This can be a more difficult task so hands on exploration is a great way to teach these concepts. We start out teaching this concept by just introducing the concept of one more. One way I teach this is by having the students make a tower for the number card they picked. Then they build the same tower but this time they put one more cube on the tower and count how many cubes are in the new tower. We then move on to putting numbers together. These plate dividers are great for teaching this skill. The students roll a dice and put that many cubes in the first divider. Then they roll the dice again and put that many cubes in the second divider. Then they will put all of the cubes in the big section and build a tower and count how many cubes they have all together. We then move on to different ways to represent each number. 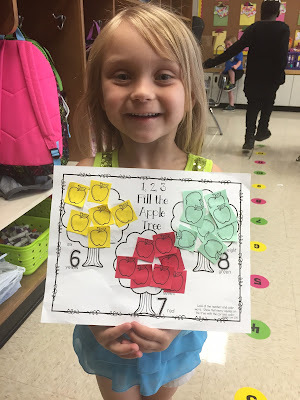 This is a great way to teach number combinations from The Printable Princess. The students put 5 red/yellow counters in a cup, shake the cup of counters, then spill the counters onto the table. 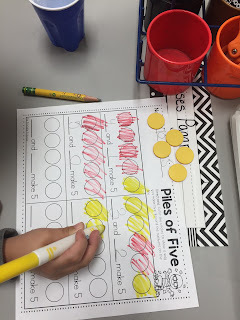 They record how many reds and how many yellows they spilled out. Once we have mastered the shake, spill, record, it is time for the students to create their own number combinations. 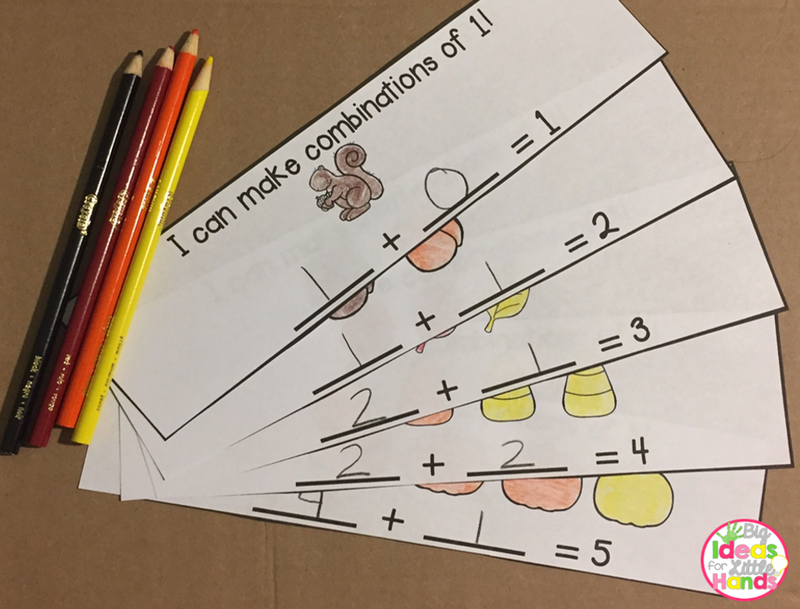 Students color the pictures in this little flip book to show different number combinations. Then they record the number combination they found. 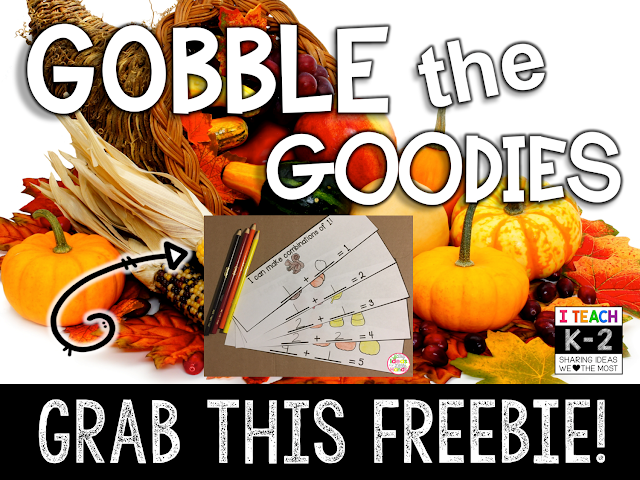 You can grab this little number combination book for free by clicking below!